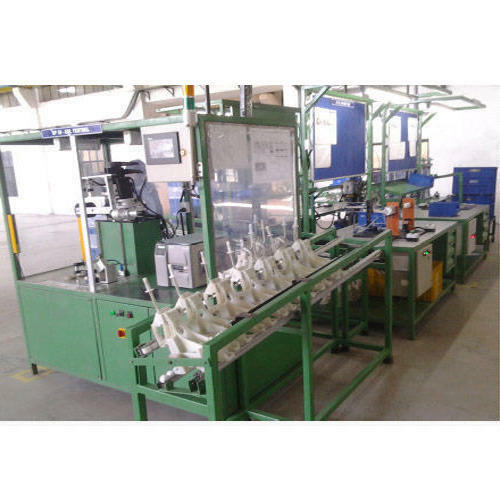 We are proficient in providing wide array of relevant products which include Line Eol Assembly. It is available at fair market price. Established in 2002, Shakuntala Electronics Works Associates is widely recognized manufacturer of SPM, manufacturer of any kind of distribution panel and control automation, trader, importer and exporter of technologically advanced products in the range of Industrial Control Sensors, Planetary Motor, Electronic Drives, Electric Panels, Vision Machine, Foot Switches etc. We are dedicated to industrial automation and SPM machine manufacturing and information to makes our customers more productive and the sustainable. Our products are recognized for their innovation and excellence performing at client’s satisfaction level. To remain competitive in the business, we keep bringing innovation in our products while making our quality standard as other’s benchmark. At present, we are associated with long list of clients who admire and recommend us to others who are in same need.